BOSTON – Today, Governor Charlie Baker signed An Act Financing the Production and Preservation of Housing for Low and Moderate Income Residents (H.4536), to ensure long-term support for the Baker-Polito Administration’s comprehensive efforts to increase the production of affordable housing, diversify the state’s housing portfolio, modernize public housing, preserve the affordability of existing housing and invest in new, innovative solutions to address Massachusetts’ rising demand for housing. 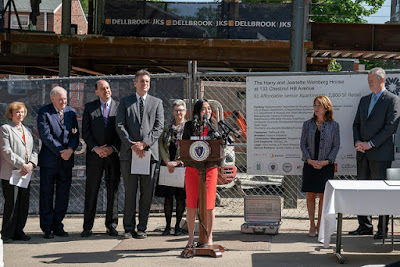 · State Low-Income Housing Tax Credit: Extends the state’s ability to commit $20 million per year in tax credits to affordable housing projects until 2025 and authorizes an additional $5 million per year in tax credits specifically to support preservation of existing affordable housing. Current law would cut the size of this tax credit to $10 million on January 1, 2020. 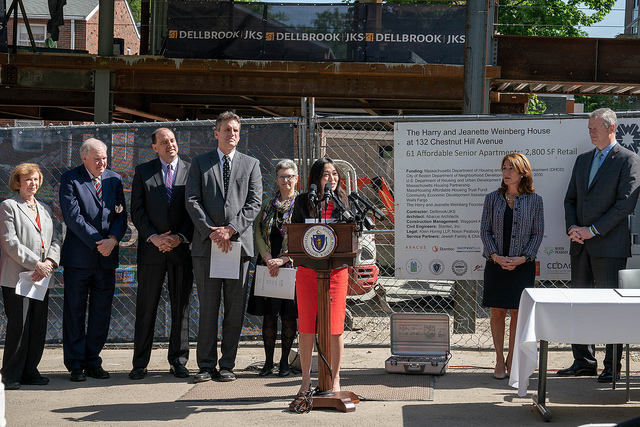 · Housing Development Incentive Program: Extends the state’s ability to commit $10 million per year in tax credits to market-rate housing projects in Gateway Cities until 2024. Current law would cut the size of this tax credit in half, to $5 million, on January 1, 2019. · Accessory Dwelling Unit Construction and Landlord Modifications: Authorizes the use of home modification funding to construct accessory dwelling units for elders and individuals with disabilities and also authorizes up to 10% of the funds to be used to support landlord expenditures to modify units for tenants with disabilities, implementing recommendations of the administration’s Interagency Council on Housing and Homelessness. 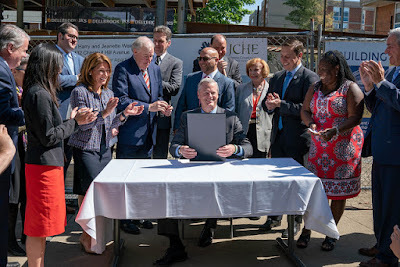 · MassHousing Services: Expands MassHousing’s authorizing language, to allow the quasi-public agency to provide contract administration, loan servicing, and other services to other states’ housing finance agencies. · Early Education and Out-of-School Time (EEOST) Capital Fund Facilities Improvement Grant Program: Provides funding to non-profit child care programs licensed by the Department of Early Education and Care to renovate, acquire, or construct high-quality child care program facilities that serve low-income families and communities, fostering high quality child care environments that support positive outcomes for children.